Are you a big movie fan? Maybe you make a point of seeing all of the newest releases or even enjoy all of the older classics? If you prefer to watch them from the comfort of home you probably also subscribe to a video rental program. 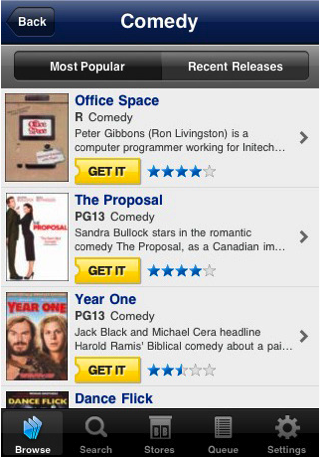 If so, the Blockbuster app will quickly become one of your most important movie-viewing tools. 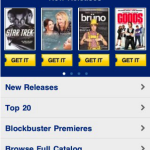 The Blockbuster app allows a user to access their Movie Queue, which is part of their online account. They can search for all kinds of movies from the library of more than ninety-thousand currently available, and then add, rearrange or delete titles from their lists. The By-Mail account details can be linked to the app to allow even more control and management of movie viewing experiences. There is also a stores feature to allow the user to locate their nearest branches and then find out if the movies they want are in stock at that moment. 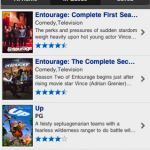 The app also features complete reviews of every title and gives a Top 20 and Blockbuster Premier tab as well. While there are many movie and shopping apps, this is the exclusive approach to accessing and managing an existing Blockbuster account through a mobile platform. 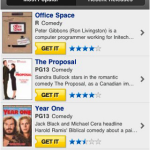 The Blockbuster app is compatible with iPod Touch, Android, Blackberry, Nokia, Palm, Symbian, Windows Mobile, and iPhone devices. There is absolutely no cost for the app, but an existing Blockbuster account is necessary for functionality. Any updates will also be made available at no additional costs as well. 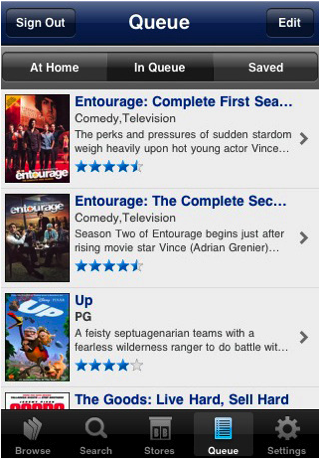 If you are someone who relies heavily on your Blockbuster account for all of your movies and entertainment, this is one app you will want to download right away.